Almost three years ago, a car crash took Audrey’s dad and scarred her for life. Now eighteen, she returns to her hometown for the first time after the accident. She’s here to start again. Go to college and have fun. Make new friends. Get over the past. But the past won’t let go. Asher is here—her first kiss, her first heartbreak. More handsome and distant than ever, he’s still the boy who used to be her best friend. That was before he changed into someone she hardly knows anymore—the boy who started getting into fights and gave her the cold shoulder for years. Asher isn’t what she needs. In fact, she hates him and should try her best to keep away from him. Yet her body doesn’t seem to care about how she feels, and maybe, just maybe this time her body got it right. Not that she has much of a choice. Asher draws her like a bright flame, and if she isn’t careful, she’ll burn. Five boys brought together by fate. Five young men trying to overcome their troubled pasts. Five tattoos marking them as a brotherhood built on tragedy. Will they find understanding and rise above the pain? Five girls tied by friendship. Five young women fighting their own demons. Five lives laced with sorrow. Will they be strong enough to save the men they love and make them happy? 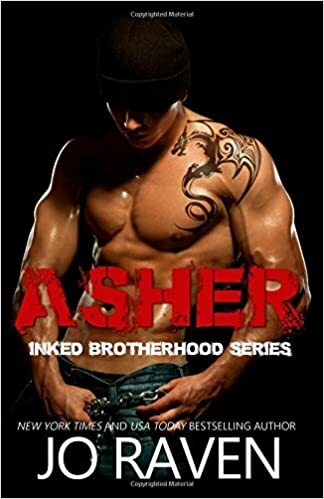 The series comprises five interconnected, stand-alone novels: Asher, Tyler, Zane, Dylan and Rafe. Kiss me Goodbye, a short prequel to ASHER, is now FREE!! Check out Tyler, book 2 in the series.